8PM | UNION: The Musical, will be performed in Winston-Salem at The Stevens Center. Tickets were free and distributed through local partner churches and organizations. If you are involved with a local church or organization, please contact them about receiving remaining tickets. Join us for a dynamic forum during which we will discuss the important and challenging subjects of race, racial reconciliation, and racial justice. Beginning at 9am, Community Partners and Union Team members have developed and put together a plenary of sessions, workshops and dialogues, taking place at Union Baptist Church. All are Welcome and Encouraged to come for reflection and thoughtful conversations which we expect will result in positive action. Attending the forum are a number of “Next Step” Opportunities and Organizations for individuals and groups to be involved in good work that is happening in our community. A Free Community Lunch is limited to the first 400 people that register and will be served following the forum at 12:30pm. We need a small number of volunteers to help us with operations on Friday, Feb 8th and Sat, Feb 9th. Ushers, Welcome Committee, Forum Registration & Check-in, & Serving Lunch on Saturday. If you would be willing to volunteer please register by clicking HERE. *you will need to create a short profile to volunteer - mobile devices may have trouble preloading volunteer opportunities. 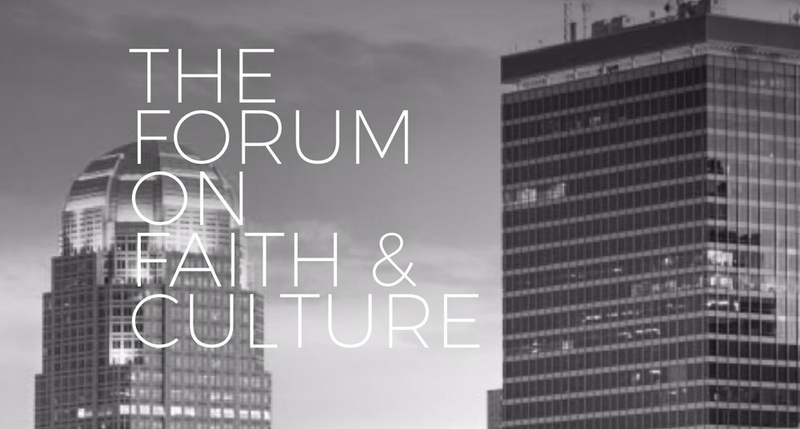 We are creating a resource book full of Next Steps for attendees of the Forum on Faith and Culture. This resource book will contain a variety of activities and opportunities surround race and justice. If you host a book club, freedom ride, lunch and learn, mentorship program, get-together, or other activity that you would like to include or recommend in our resource book please click the link to fill out information by January 31, 2019.